You might be thinking to yourself that composting is hard, you don’t have enough space, or just don’t know where to begin. Let me tell you that composting is one of the easiest and most beneficial things I’ve done for my garden, the environment, and my wallet. Composting is a natural method of breaking down organic materials and turning it back into earth. It helps reduce the amount of trash in landfills, promotes growth in your garden, and saves you money since it eliminates the need for pesticides, potting mixes, and extra water. Getting started with composting will take a small initial investment. You’ll first need (2) cheap, plastic trash cans with lids. I have the 32 gallon size but I think as long as you have a minimum of 20 gallons, you should be fine. When you get home, use a drill or a hammer and nail to puncture several holes across the sides and lid of the trash can. An adequate number of holes will ensure proper air circulation for your compost pile. At this point you don’t need to invest in anything else, unless you want added convenience. For the first year I composted, I kept an old plastic bowl with lid and placed all of my household scraps into that. This was convenient for me because it reduced the number of trips I made to my compost pile. You could also transport items to your compost pile daily but this will require more frequent trips and you might not end up composting quite as much as you would otherwise because of the added worse. To build your compost pile, you’ll need to begin with carbon and nitrogen sources (browns and greens). Carbon sources are things like dead leaves, branches, and twigs (brown and dry) while nitrogen sources are things like fruit and veggies scraps, coffee grounds, and grass clippings (items that grow and are wet). Once you’ve started accumulating browns and greens, you’ll begin adding them to one of your trash cans. Try to keep a ratio of 2 parts carbon to 1 part nitrogen for best results. I use a pitch fork to turn my compost pile to ensure that everything is thoroughly mixed, but if you have a shovel it would probably work as well. Mixing your pile on a regular basis should not leave a smell or attract insects. Make sure to water your compost pile when you turn it over so that it stays moist but not wet. 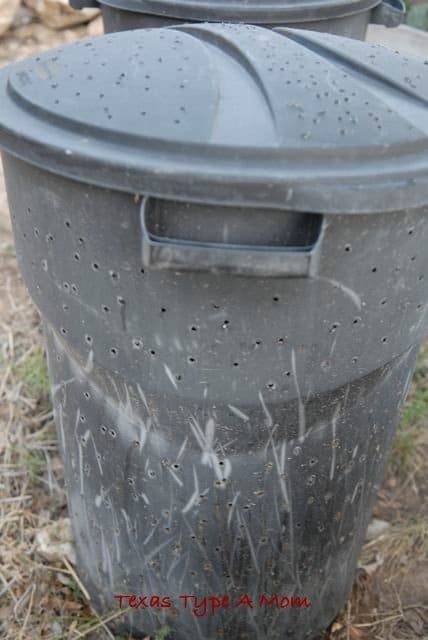 If you notice ants or other bugs in your compost, you’ll know your pile is too dry. In the summer, your pile is likely to lose moisture as you should keep it in the direct sunlight if possible. Compost decomposes faster when temperatures are higher. Be patient. Taking a pile from scraps to usable compost takes several months of turning and continuing to add new materials. The actual time will depend on your location, weather, and quantity of materials added to your pile. 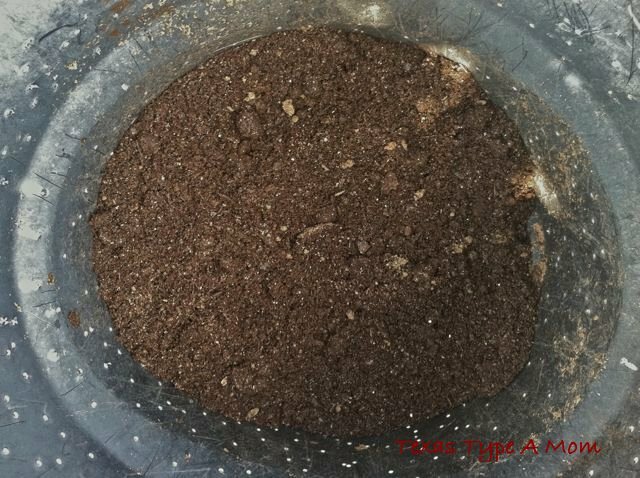 One way to ensure you always have usable compost maturing is when you notice your pile turning into a potting soil consistency (or after a few months), you’ll want to start working on your second compost bin. 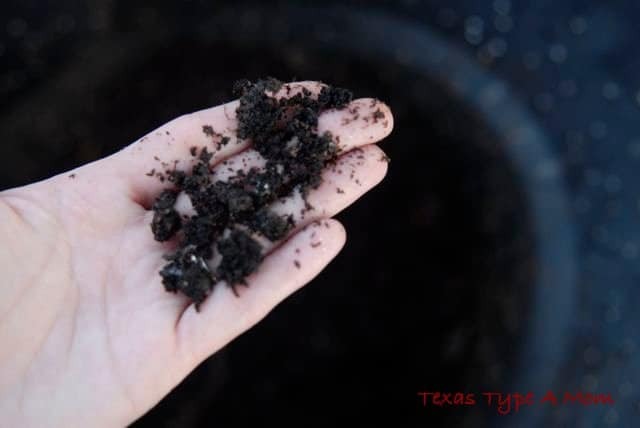 You can tell your compost is ready to use when it’s dark, crumbly, and looks just like potting soil. We compost in the winter but it doesn’t get nearly as cold as it gets in other areas. What we do when it gets pretty cold or starts to freeze is just open the lid of the compost and let the sun beat down on it. This will usually heat up the compost pile enough to keep things moving. It’s so hard to believe that it turns into that beautiful fertile soil. I wish I had the patience to do that. It’s such a great idea. That is so amazing to me. I want to try this out in the spring time!!! 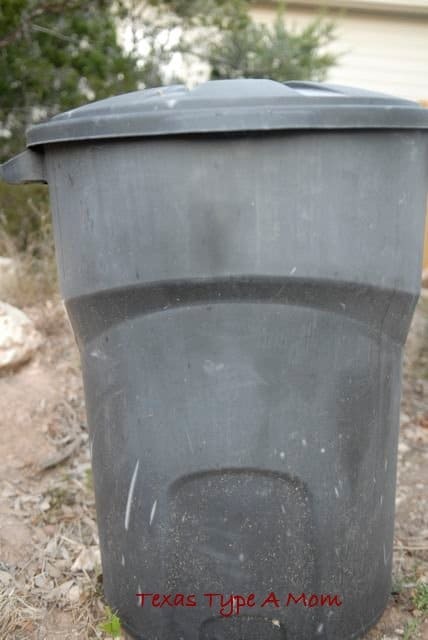 We tried this one year, but bought a composting bin. I think we would have been more successful doing it this way. I never tried this, but if it helps…something to try.